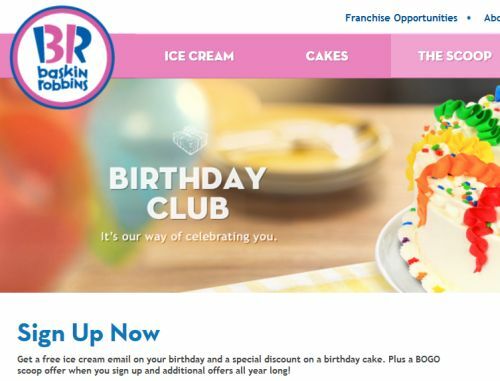 Get a free ice cream email on your birthday and a special discount on a birthday cake. Plus a BOGO scoop offer when you sign up and additional offers all year long! Click below to go sign up.